Aluminium Windows Prices | How Much Do Aluminium Windows Cost? Searching for aluminium windows prices? We can help. Our aluminium windows range from nearly £643.50 to nearly £1,650. Take a look at our cost guide today and get the ball rolling on your home improvements. The size of the windows, colour choice and any hardware accessories will be contributing factors to determining your final aluminium windows cost. We’ll be able to help you find the best price for you. The comprehensive variety that we offer across our aluminium window range makes them difficult to price off the cuff. However, we can still offer you price ranges based on individual specifications. This will allow you to gain a frame of reference on how much you will be spending. Aluminium Windows Prices: What Are You Paying For? Although our aluminium windows prices may be cost-effective, it doesn’t mean that we reduce the quality of the windows we offer. To guarantee you’ll be enhancing your home with the very best, we only offer a line of market-leading designs. By using the innovative aluminium profile from Smart Architectural Aluminium, our aluminium windows excel in quality and performance across the board. You’ll be amazed at our aluminium windows costs when you see the quality of thermal efficiency, durability and security they offer. As our windows are ideally suited to both modern and traditional properties, our aluminium windows prices are sure to be a fantastic investment for any homeowner. Take a look at our price tables below to get an idea to see how much you could be spending on some of our popular styles. Are Aluminium Windows Right for My Home? 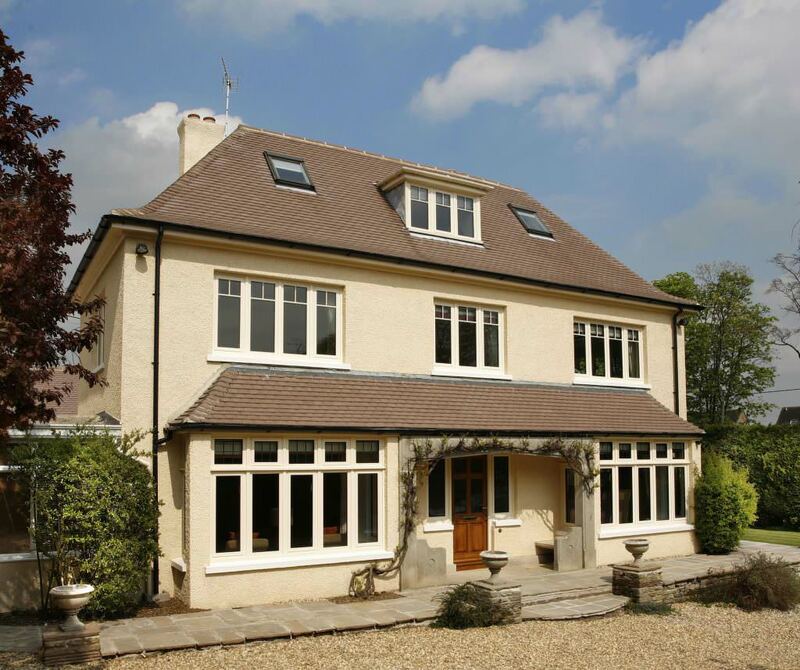 Aluminium windows can be effortlessly tailored to meet any property, both new and old. With our options on offer, it doesn’t matter if your home is modern, traditional, period or heritage. No homeowner needs to miss out on their exceptional quality. This is achieved via a comprehensive range of colours and woodgrain foils, allowing you to decorate your aluminium windows in a way that perfectly suits the aesthetic of your property. Our range of woodgrain foils are perfect for capturing the traditional aesthetic of timber. This addition means you’ll be able to enjoy all the benefits of a wooden appearance with none of the headaches that come with a high maintenance material. All of our colours and foils are finished with a high quality, durable coating that ensures they uphold an impressive life span. Proving to be highly resistant to scratches and flaking, our colours promise to maintain their fullness and richness over many years. We also offer a wide range of hardware options that allow you to tailor the function and appearance of your aluminium windows down to the detail. We only offer premium designs to ensure high quality is maintained across the board. How Should I Measure My Aluminium Windows? To measure your aluminium windows accurately, make sure to always measure your windows from the outside and in millimetres. This simple, quick process will allow you to ensure your new windows are the perfect fit for your property. Measure both the height and the width of your windows at three separate points, taking note of the smallest measurement on each occasion. Take away approximately 10mm from the smallest measurement to determine your order size. By obtaining an accurate aluminium windows measurement, your new home addition is sure to become a beautifully complementing feature in both aesthetic and performance. You won’t have to worry about windows that leak or let the cold in. Aluminium Windows Prices: Do Aluminium Windows Keep My Home Warm? 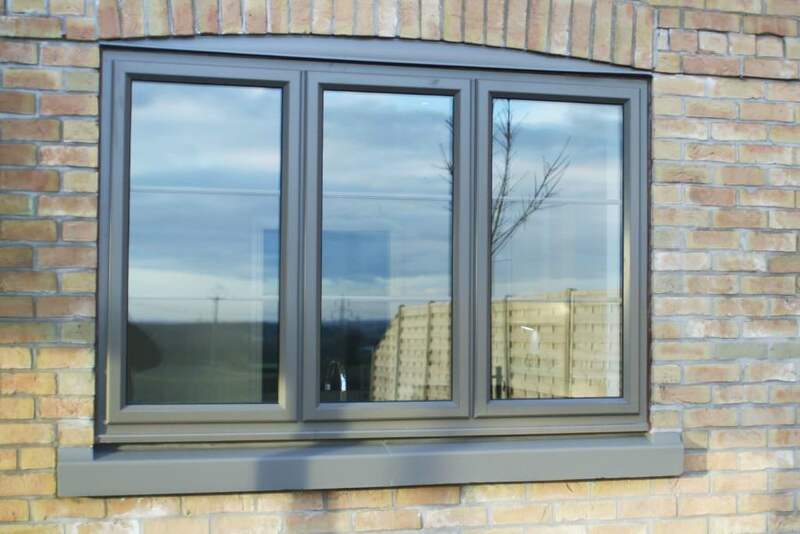 Comprising of an incredibly modern design, our aluminium windows feature a thermally broken and polyamide bridged profile to ensure they achieve the highest standards of thermal efficiency. This means they achieve an ‘A’ on the WER scale. This design works to ensure warm air stays within your home for an extended period of time, meaning your hair will remain warmer and more comfortable throughout the year. This also means that our aluminium windows prices will continue to bring value long past their initial value, allowing you to reduce the amount of money you spend on your heating. By increasing the efficiency of your central heating, you’ll also be able to reduce your carbon footprint. This standard of performance is then enhanced with high performance weather seals to ensure draughts and water ingress are minimised. These factors can be detrimental to home performance and comfort, which is why we work to secure a design that prevents them. Aluminium Windows Prices: Are Aluminium Windows Secure? Aluminium windows intelligently combine an inherently robust and rigid profile with high security, multipoint locking mechanisms to guarantee an outstanding degree of security. This means that they can offer impressive standards of home security without the bulk of timber and uPVC. By combining function and form, aluminium windows offer more for homeowners. The locking hardware is expertly integrated into the frame to ensure leverage points are minimised. This means would-be intruders won’t be able to access the lock to break it easily. This impressive structural integrity also means that they offer an outstanding level of product durability, meaning our aluminium doors prices are sure to be a worthwhile investment for your property. We also offer a wide range of high quality glazing options, all of which are expertly designed to capture unrivalled quality across the board. This means you aluminium windows will keep you protected throughout. Although we offer a wide range of aluminium windows, we have chosen two of our most popular designs to illustrate our aluminium windows costs. This way, you’ll be able to see the price tag we place on the best. You’ll also be able to get a frame of reference for how much our other styles will cost you. 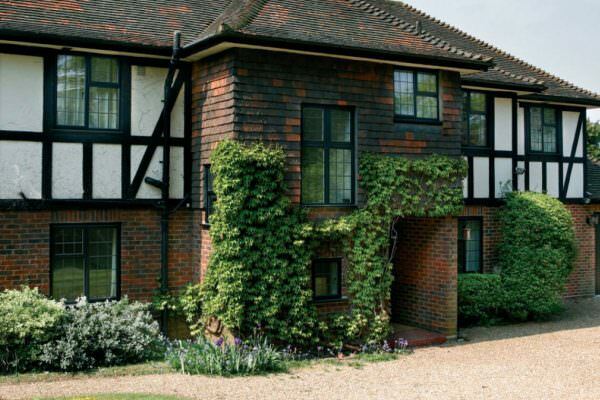 Aluminium casement windows have become instantly recognisable throughout the double glazing market, proving themselves to be a classic and much-loved addition to both modern and traditional homes over the years. The intelligently designed Alitherm 600 profile from Smart allows us to update this incredibly successful design, responding accordingly to modern demands. Inherently secure, highly thermal efficient and consisting of slim sightlines, our aluminium casement windows don’t compromise. The table above illustrates our aluminium casement windows prices, based on a range of different sizes. These prices are based on a white aluminium design, featuring external beading, energy efficient double glazing and an external cill. Our aluminium sliding sash windows specialise in combining traditional form with modern function. 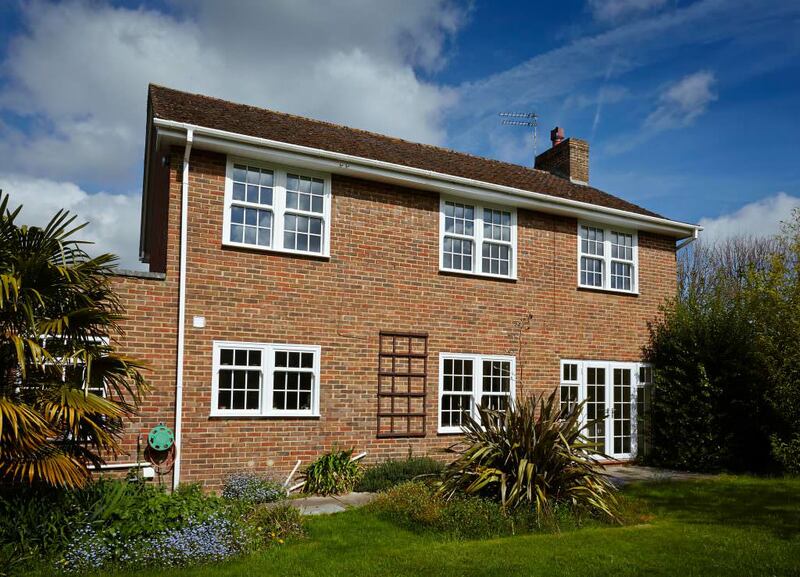 By utilising modern upgrades to the enhance the performance of a window design that has been loved across generations, we guarantee these windows offer a safer, more comfortable home. This high quality is made available by the Heritage 47 aluminium profile from Smart, which allows for our aluminium sliding sash windows to loyally reflect the aesthetic of the original design without featuring any of the performance setbacks that timber would normally bring. The table above demonstrates our aluminium sliding sash windows prices, based on a selection of different sizes. These costs are based on a white aluminium, internally beaded ctrittal replacement window, featuring energy rated double glazing with an external cill. Contact us today to find out more on our aluminium windows prices. We are proud to offer competitive and free aluminium doors prices, allowing you to find the ideal cost for you. You can also find your nearest Sternfenster Approved Installer via our dealer search function. Our network of Approved Installers will always reflect our exceptional aluminium windows prices. We’ll be able to tailor your aluminium windows quote to perfectly match your specifications, which will make sure your price is as cost-effective as possible. This way, you won’t have to pay extortionate prices for premium products. We allow you to enjoy the best, for less.